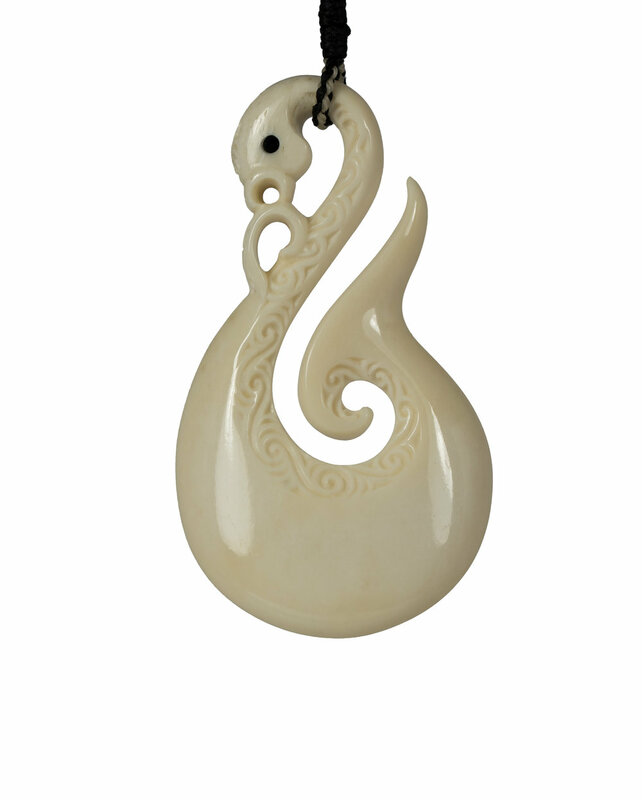 This style of hook can be traced back to the Māori mythological origins of New Zealand where it is described that the demigod Māui 'fished' up the North Island of New Zealand (which is shaped like a stingray) with the jawbone of his grandmother, Murirangawhenua. The Manaia (or spiritual guardian) is the profile of a Tiki. This is symbolic of being half in this world and half in the spirit world. The fish hook signifies abundance, nourishment and strength. As such it attracts the energies of peace, prosperity and good health. A fishhook is a symbol that provides safe journey over water. 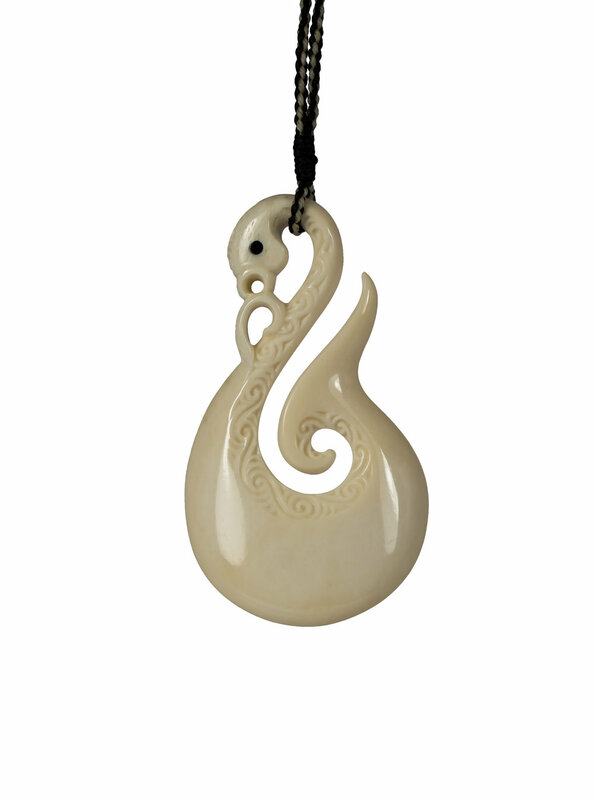 Therefore it is considered a good luck charm by travelers and seafarers. This piece is named ‘Flow of Mana'. Mana refers to an extraordinary power, essence or presence. This applies to the energies and presences of the natural world. There are degrees of mana and our experiences of it, and life seems to reach its fullness when mana comes into the world. The most important mana comes from Te Kore – the realm beyond the world we can see, and sometimes thought to be the ‘ultimate reality’. More information on the flow of Mana can be found on Te Ara – The Encyclopedia of New Zealand. See reference note 2.